Warning! One of the BEST obstacle course additions to the TBP Nuclear Line. The Danger Zone 40′ obstacle course is an extreme adventure. 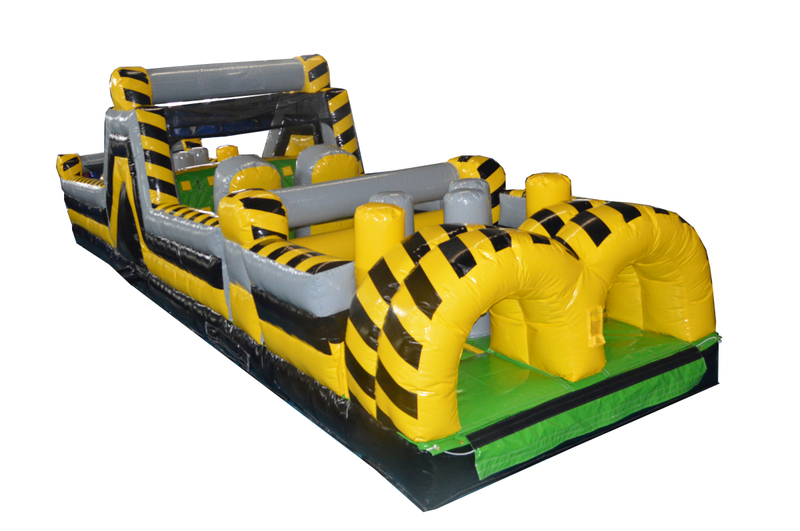 The 40′ Danger Zone Obstacle Course features crawl through holes, pop-ups, and a rock wall. An extreme race to the finish. Excellent for corporate, school, and large family events! Book it as a stand alone , or add it to the other items in the Danger Zone line.